Looking for a stunning site for your wedding? Enter our Tasting Room and escape the everyday. Select an exceptional experience to best fit your event needs. We invite you to experience our wines, selecting among 4 exclusive Wine Clubs. Be the first to enjoy our award-winning wines at home and other benefits reserved for Wine Club Members. 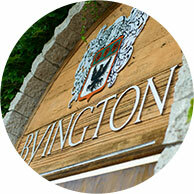 My husband and I love that Byington is just 20 minutes away. Whether we pack a picnic and enjoy wine at one of the private areas or join in on one of the planned events, we always have a relaxing time. We feel like we are miles away from home. It's a chance to get away and just take a break. We love to purchase a few bottles of wine to bring home and enjoy later to have ourselves or share with friends. This wine provides hints of green apple and citrus on the nose. A mineral, fruity taste keeps the wine crisp and elegant. A lighter Chardonnay, it pairs well with salads, light appetizers, or seafood. Ripe dark berries dominate the aroma, and a high pitch of caramelized vanilla enhance the round experience. It is aged in barrels for 2 years to enhance the elegant tannin level, giving a soft approach and wine that pairs well with hearty meals. This award-winner is a classic Bordeaux-style blend of Cabernet Sauvignon, Merlot, and Cabernet Franc. Enjoy flavors of cassis, cherry, berries, and anise, accompanied with vanilla cream from oak barrels. The flavor profile is velvety and rich. Bing cherries, red berries, pomegranate, and hints of young plum create the fruitiness of our Estate Pinot. Following in the footsteps of its award-winning predecessor, enjoy it now or let it mature to experience a boost in oaky taste. 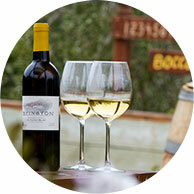 Our signature Liage is a blend of Sauvignon Blanc and Viognier, full of tropical, honeysuckle, and honey flavors. The stainless steel tank fermentation creates a crisp-style wine with a big, bright presence. Our Exotic Car Club, Club Sportiva, held a Members drive event to Byington Winery and from start to finish had a great experience. Not only was it a great drive for our Members to get to the venue but once there the setting and the staff were excellent. I highly recommend a visit to Byington Winery to anyone!